Q:Does it come in the pretty box you show it in? 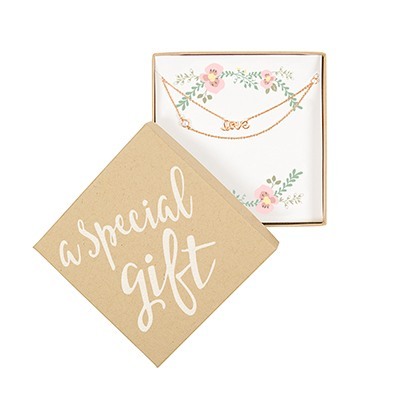 I believe there are flowers on the card its on? A:Yes, this bracelet comes with the box. 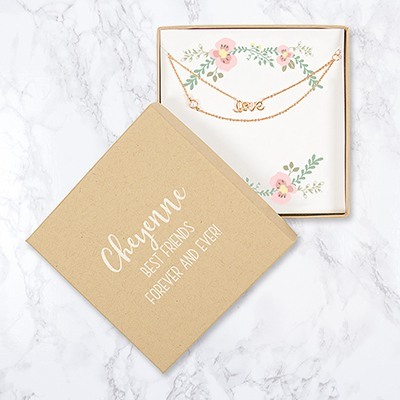 There are options for personalizing the box with a name or saying as well. Treat the girls you love most with this beautiful rose gold love bracelet. Perfect for any occasion, this pretty bracelet is great as an everyday accessory. Bracelet features script love charms and a clasp closure.